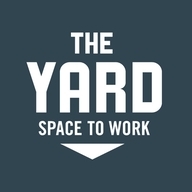 The Yard is a Coworking Office Space that allows driven professionals to work together in an innovative community. The Community Manager at The Yard provides overall location management and administrative support. In this role you will be required to wear many hats including ordering office supply stock, office equipment management, community development, brand standard maintenance, obtaining occupancy goals, and basic office management. • Highly organized multitasking with excellent time management. • A high level of attention to detail and strong communication skills. • Ability to deliver quality service, efficiently and within required deadlines.